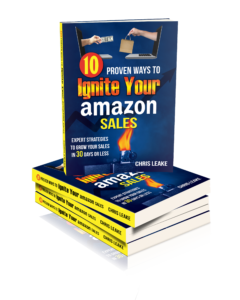 Episode 18 talked about how to send good follow-up emails to Amazon customers. This week I’m going to show you specifically how we’ve been using a follow-up email sequence to get more reviews of a particular product on Amazon. Nearly a 60% increase in the frequency of reviews. Cut in half the amount of negative reviews being received. Raised review score from around 3.7 to 4.3, meaning customers went from seeing 3.5 stars to seeing 4.5 stars. The first email has a detailed product guide attached that includes helpful troubleshooting tips for common issues. The second email is the only place that asks for a review, and not until the PS. Want Help Drafting Great Automated Emails for Your Customers? If you want help creating follow-up emails for your customers, you can hire us! Click here to apply to become a client. Quietly, Amazon recently added a link right on product detail pages for uploading Related Video Shorts. We talked with Amazon about it, and though information was in short supply, we did learn a little bit, which we share in this podcast. What Types of Videos Should you Add to Related Video Shorts? Upload a video 1-3 minutes long, in mp4 format, with a 16:9 aspect ratio. What Guidelines Should You Follow with Related Video Shorts? We have received a couple of questions lately about Amazon Sponsored Products Ads (SPA), so in this weeks episode we discuss the questions and provide some other thoughts and tips about how to effectively use SPA campaigns. We’ve been spending on SPA for months now trying to get established, but we’re still not profitable. Should we keep spending? How long does it take? I used to make about $3.50 per $1.00 spent on SPA. Now I’m making $1.00 per $1.00 spent. Should I keep on, or do I need to reevaluate? You have to evaluate in terms of what those sales are doing for your business. If you’re tying up a lot of cash to break even, you need to consider the effect that tying up that cash is having on your business. Breaking even across the board doesn’t mean each individual keyword is breaking even. Likely you can cut out some unprofitable keywords and add some additional profitable keywords or possibly increase your spend on your profitable keywords. Drop the bid lower on expensive keywords. You’ll still get shown once in a while, but you won’t pay as much per click. Bid on your own brand and product names. Know that you’re going to spend a lot more money on automatic campaigns and with broad match search terms than you’ll spend with phrase and exact match. Use auto and broad only in a controlled way to find new search terms to target. Spend as much as you can on keywords that are profitable, so you push your sales volume as high as possible. ACoS of 10% or less is good, and 15%-20% may still be acceptable for some products. If your click-through-rate (CTR) is 1% or less, then there’s either something wrong with your product listing (image, price point, title, low review score, no FBA), or your ads are being shown on searches that aren’t very relevant to your products. 3%-5% CTR is really solid. Spend depends a lot on the price point of the product. Generally speaking, anything under $1.00 per click is not overly competitive. Getting up to around $1.50 and more is pretty competitive, and you may need to find less competitive search terms. Whether your Amazon seller account has been suspended, you’ve had a product suspended, or you’ve simply received a performance notification requesting a Plan of Action, writing an effective POA is critical when Amazon requests one! A Plan of Action needs to be a concise, point-by-point written explanation of why a problem occurred and what steps you have taken to fix it and to ensure it never happens again. Have you been suspended by Amazon or received a performance notification, and you want input on how to handle it? We can help! Click here to request a free 30-minute discovery call. Specific products you want to promote? Make a profit or break even? Get rid of overstock inventory or products you are discontinuing? Ship NOW to Amazon fulfillment centers! This week! Detail page optimization: titles, images, bullets, etc. Need Help Getting Ready for Prime Day? Get in touch to schedule a consultation or request done-for-you services from eCom Leverage! Beyond your home page, product details pages, category pages, and cart and checkout pages, there are a few other pages you should have on your e-commerce website. These pages will only be by a minority of your visitors, but those visitors are very warm traffic! Provide them the info they’re looking for so you can convert them into buyers. Photos of your team, manufacturing process, etc. Tie it back to the customer…how will you solve their problem? How does this help solve the customer’s pain? Especially important with the new GDPR regulations if you have any European visitors whatsoever. All the legal info…disclaimer, limit of liability, etc. Click here to schedule a free half an hour on the phone with me! How do you build trust with people who visit your website? How do you convince them to buy your products? Whether you use Shopify or Woo Commerce or something else, today we talk about some of the most important elements you should definitely have on your e-commerce website in order to give customers the best experience and to increase conversions. Developer – This is the coding person, the technically-skilled person “under the hood” who actually puts all the elements of the site together and makes it function properly. Designer – This is a more artistic person who knows how to lay out the website in a way that looks interesting and attractive. Some people have both design and development skills, but typically a designer is not necessarily a good developer, and a developer is not necessarily a good designer. Marketer – This is the most critical role, and it’s the one that far too often gets overlooked. Most developers and designers are NOT marketers. This unfortunately means that they can build you a beautiful site that works perfectly…but doesn’t generate nearly the sales volume it should. You MUST have a marketer overseeing your website…someone who understands what the message is and what elements of the site must be in place in order to effectively generate sales. Authority Marks – payment logos and seals, shipping logos, certifications, security, awards, etc. Need help with your e-commerce? Schedule a FREE 30-minute phone call with us! Click here, fill out the brief form, and then we’ll contact you to schedule (this is no way obligates you to become a client).